The 606108 Movado Red Label Men’s Watch employs a particularly robust look while maintaining a simple and classy style. The 606108 Movado is an automatic watch which features a wide, round solid stainless steel case—including a museum black dial with a red Movado label—and solid stainless steel wristband. What distinguishes the 606108 Movado Red Label Men’s Watch in particular is its markedly robust design. The bezel appears to have a bolted down appearance with four evenly spaced screws driven into the case. Each link of the wristband also appears to have a miniature bold, which works convincingly given the altered texture of the center band links with the outer band links. This does little, if anything to compromise the slick appearance of the overall appearance of the 606108 Movado, as all of the miniature bolt features are proportionally appropriate in terms of size and are given the same careful polished finish as the remainder of the polished stainless steel craft. The 606108 Movado Red Label Men’s Watch is constructed with case and bracelet material of solid stainless steel. 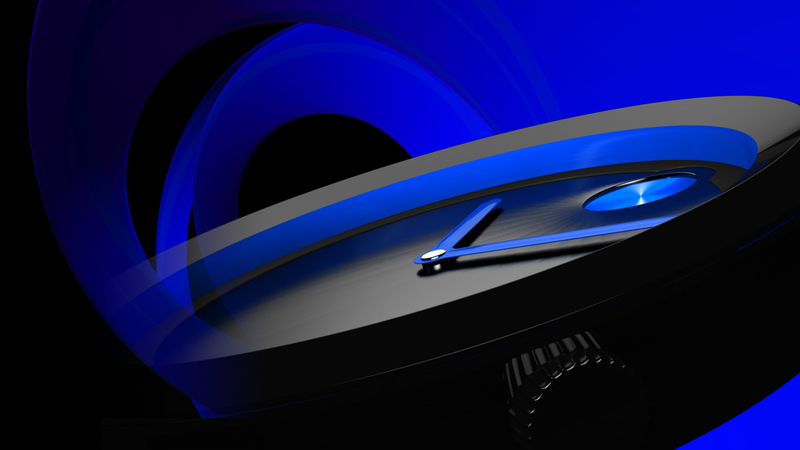 The case measures 38mm and comes built with scratch-resistant sapphire crystal and a crown with a water resistance of up to 30 meters. 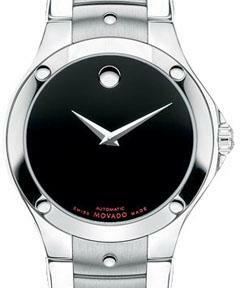 The 606108 Movado operates using automatic Swiss movement. The 606108 Movado Red Label Men’s Watch retails at an MSRP of 1,095.00 and includes a standard 2-Year International Manufacturer’s Warranty with purchase.